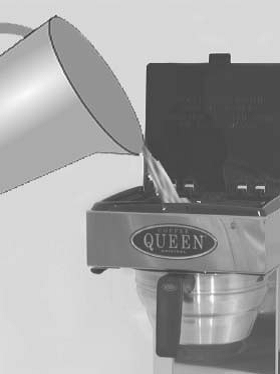 It is to provide the systematic procedure on how to operate and wash the Coffee pour over. Prior to use, inspect Coffee pour over and electrical cords for visible damages. The main aim of this report is to provide the systematic procedure on how to handle, operate and wash Coffee pour over. 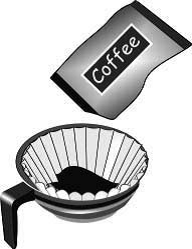 Coffee pour over – Drip brewing, filtered coffee, or pour-over is a method, which involves pouring water over roasted, ground coffee beans contained in a filter, creating the beverage called coffee. Water seeps through the ground coffee, absorbing its oils and essences, solely under gravity, and then passes through the bottom of the filter. Descaling – remove deposits of scale. Brewing – make (tea or coffee) by mixing it with hot water. Place the machine on a flat level and waterproof surface. Connect the plug to a separate wall socket. Do the first brewing’s with water only. To filling up water system. 1. Place filter holder without filter and coffee. Lift up the cover and fill the machine with fresh tap water. Place the pot under the filter holder. The brew lamp which indicates that brewing is in progress shall now be lit and the water shall start pouring through the filter holder into the thermos. Brewing will take about 6 minutes. Place a 90mm filter in the filter holder. Add coffee, restaurant / catering grounded coffee). Make sure that the coffee is evenly spread. Lift up the cover and pour in a pot of fresh tap water (2,2L). In the tank, there is a float, which activates a microswitch when water is filled. Place the thermos pot under the filter holder. Turn on control switch for brewing. During the brewing, (about 6 minutes) the brew lamp is lit. Pour 50 ml descaling / cleaning solution in a pot and fill it up with cold water. 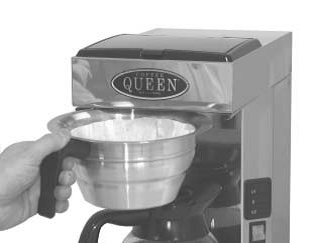 Pour the mixture in the machine and proceed with a brewing without a filter paper or coffee. Rinse by brewing at least 3 times with clean water so that the particles from descaling solution disappear. 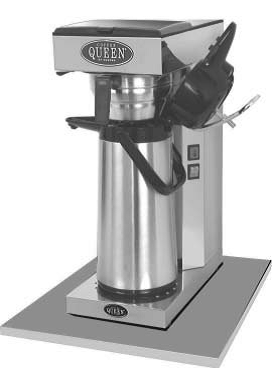 Regular descaling will ensure optimum brewing performance and a longer life of the machine. In areas with high level lime problem, a descaling filter should be mounted. Surface cleaning. Use a soft rag and liquid solution that does not scratch. 1. Check plug connection to wall socket. 2. Check fuse in plug. 1. Machine may require descaling. 2. Spray nozzle may need unblocking. 3. Hose may be bent. 4. Inlet to boiler may be blocked. Descale machine - if boiler still defective - replace. Brewing lamp is lit but machine will not brew. 1. Check connection to boiler. 2. Boiler unit may need replacing. 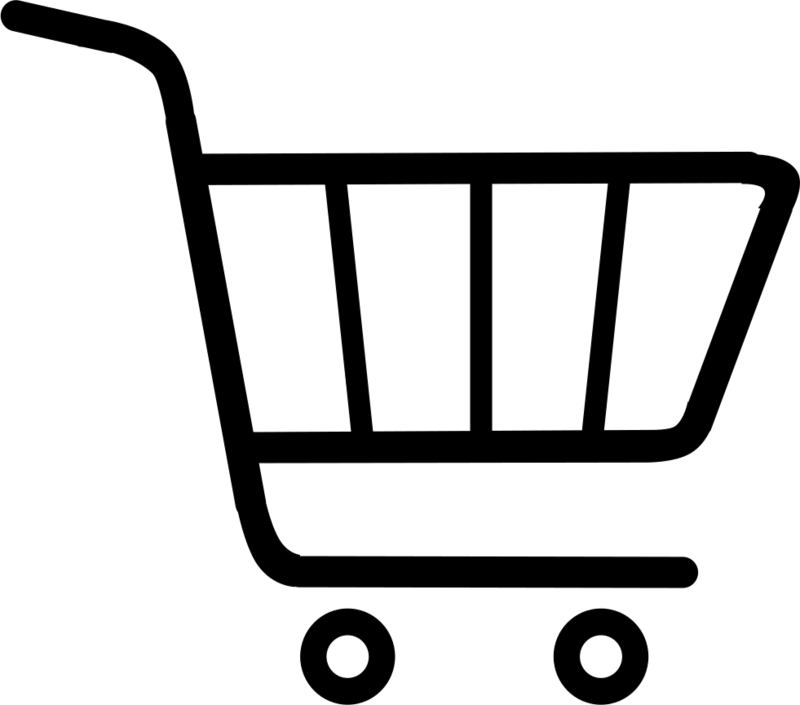 The machine should stand on a flat surface so that it will function properly. The machine should be placed on a water-proof surface so that any leakage is easily noticeable. Do not leave the machine unattended while using. The machine must be disconnected from electrical supply before any maintenance. This will keep the Coffee pour over in a good condition.